Cute, right?! And who can resist eating off of something cute? This Railroad Plate is a fun way to combine eating and playing. Tiny eaters and little fans of the rail can play with their wooden trains and enjoy their snack or meal at the same time. 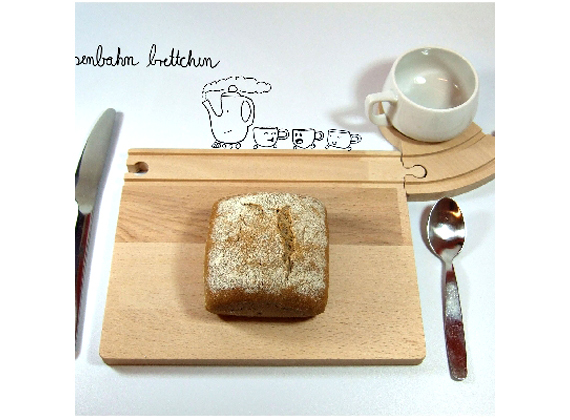 The rails of the plate and saucer can be connected to any standard wooden railwood, like Thomas, Brio, Eichhorn and more. Whole tracks can be built right on your dining table…that is if you’re not already battling playing-with-your-food issues. If you are, disregard this entire post.